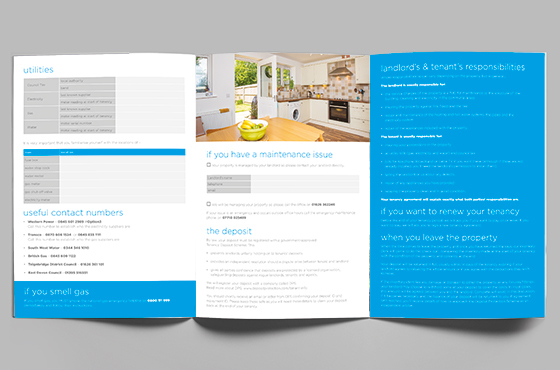 This is a great example of Rethink’s 3D Marketing Programme – ensuring that the service customers receive matches what’s being said in the marketing. 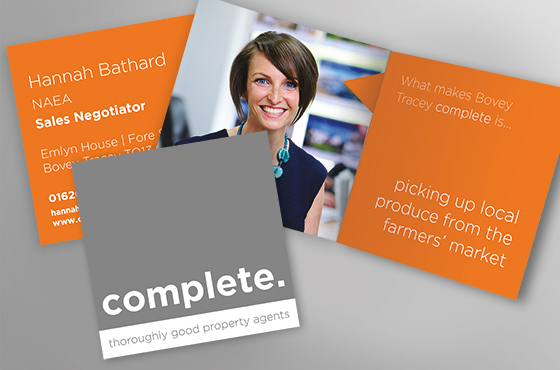 We started working with the brilliant Complete in January 2016 because they wanted to extend their lead over their competition through a redefined brand message and modernised marketing materials. A really great brand is more than skin deep; it starts with an ethos that chimes with the customer, and then pervades every cell of a company from the inside out. 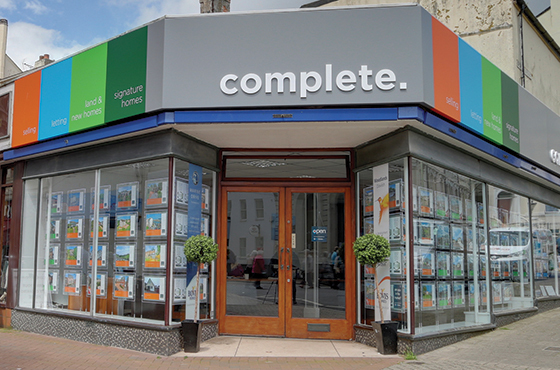 Complete are a rare beast – an estate agency who so wholeheartedly embrace this principle too, with a genuine desire not just to rebrand with a veneer but to ensure that their service sings the same song from top to bottom. 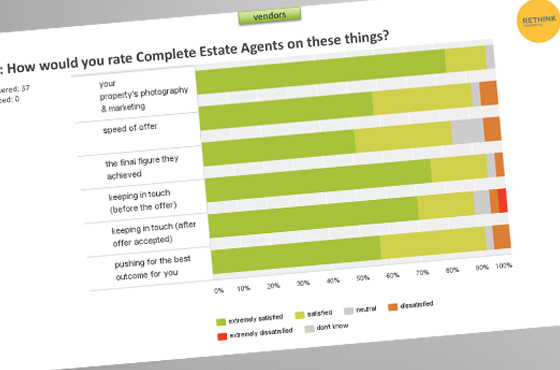 So we started with some in-depth research to find out exactly what their clients thought about Complete. The results were stunning, with brilliant reviews across the board. 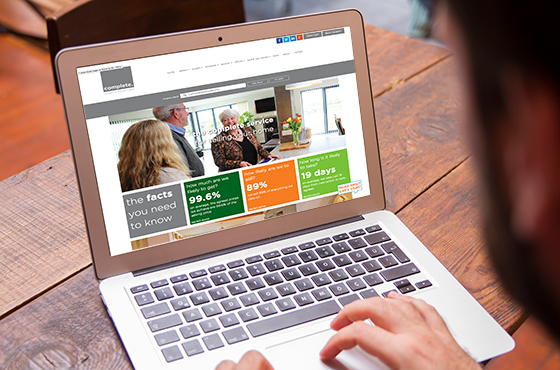 We also asked their lost valuations and withdrawn clients with some interesting results too. 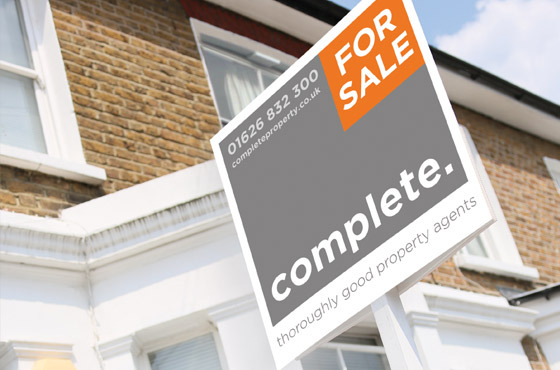 We also carried out some analysis to identify the stats to demonstrate Complete’s market position and strengths in selling property. But it was their name – Complete – that seemed to offer a distinction ready to be exploited. And so we presented a series of recommendations about their services that would bed-down the proposition that theirs was indeed the ‘complete’ service. 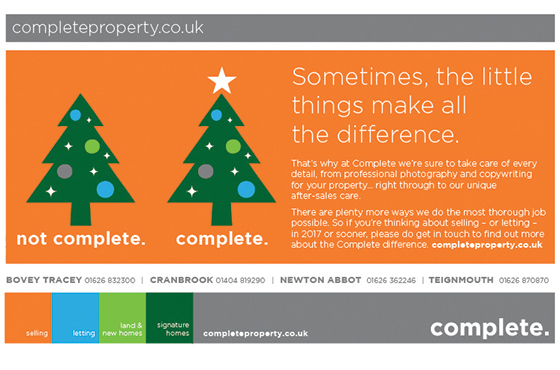 This included rethinking their property marketing – hiring a photographer and copywriter to make their property pictures and words really stand apart from the competition. 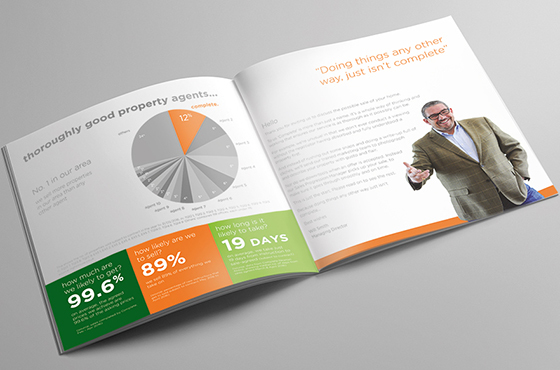 We also redesigned their property details templates and redefined what information was contained on them. Vendors love the result. 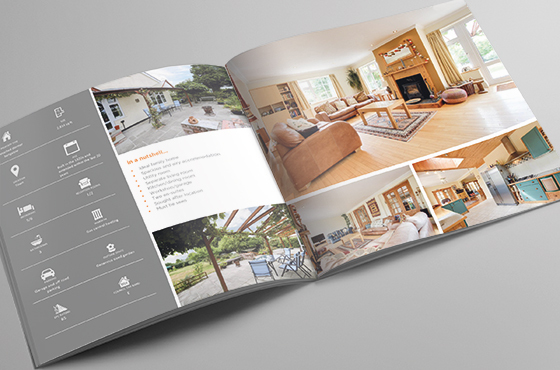 We also worked with Complete to set up a ‘Signature’ service for their highest-end property stock, which included initiating a separate sub-brand as well as an even higher quality of property brochure, which are now designed individually for each property. It was also agreed in this instance that we would update their brand identity, to modernise it as well as broaden its appeal to upper-market vendors. The result, we believe, is a clean, distinctive, memorable and recognisable brand which doesn’t just look good, it communicates the ‘complete’ proposition as well. 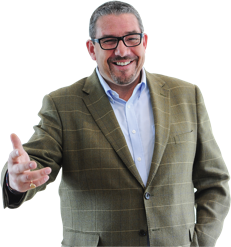 This is underlined with a new strapline – thoroughly good property agents – to neatly encapsulate their ‘complete service’ proposition. 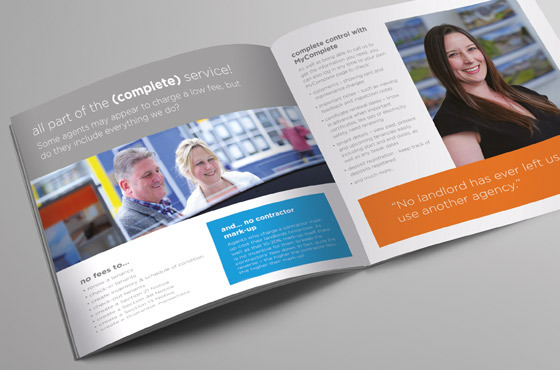 Using this new branding we redesigned every item, from business cards right up to shopfronts and signage, and a set of brochures to leave behind at valuations to ensure their ‘reasons for instructing us’ stayed with the client after the meeting. Finally, we redesigned the content pages of the website so their messages were displayed loud and clear here too.